Babcock Ranch Eco Tours was known for many years as Babcock Wilderness Adventures. It is one of the most unusual Florida tourist attractions. It takes place on a 92,000 acre working ranch in the heart of Old Florida. Babcock Ranch is a working Florida ranch primarily engaged in raising beef cattle. The ranch also has large farming and mining operations. The Babcock family of Pittsburgh owned the Babcock Lumber Company. E. V. Babcock came to southwest Florida in 1912 to hunt and fish. He liked the place so well he bought 100,000 acres of worked out turpentine pine woods and added to that acreage over the years. When most of the timber was logged out, Babcock converted the acreage to a cattle ranch. When his son, Fred, was 14 he started coming to Charlotte County in the summer months to learn the cattle business. In the winters he worked in the family sawmill near Pittsburgh. Fred liked this lifestyle so much, he continued it the rest of his life - except that he wisely reversed the seasonal visits. He became one of the early snowbirds. The ranch sprawls across Lee County and Charlotte County, and is northwest of Fort Myers and Punta Gorda. 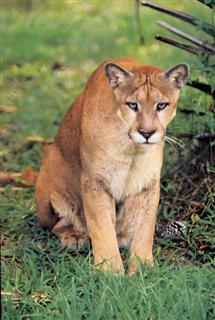 Babcock Wilderness Adventures is one of the last places in Florida where you may see the elusive Florida panther in its natural habitat. It is one of the possible surprises that has made this one of the most unusual Florida tourist attractions. You will also see the tough cows and bulls unique to the state known as Florida Cracker cattle. 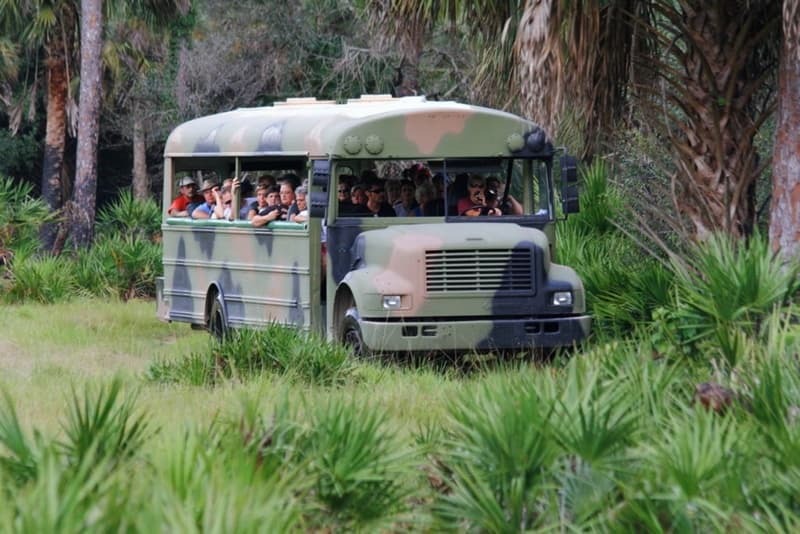 Babcock Wilderness Adventures offers adventure-seeking visitors 90-minute Swamp Buggy Tours and a lot more. It takes about 2 1/2 hours to see everything on your Babcock Wilderness Adventures tour. The specially built shaded buggies carry you safely through native piney flatwoods, oak hammocks, a fresh water marsh and a cypress swamp. All told, you will see four different Florida ecosystems on your Babcock Wilderness Adventures tour. An experienced tour guide tells you all about the wildlife and explains the ranch activities and ranch history as well. You will probably run into wild alligators and see hundreds of native birds on this tour. 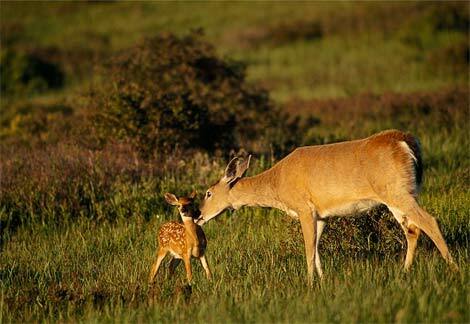 The ranch is also home to white tailed deer, wild turkeys, American Eagles and Red Shouldered Hawks. It is as close to nature as you can possibly be in Florida. There is also a museum featuring Florida history, ranch operations, and natural history artifacts. There is even a movie set used in the Sean Connery film "Just Cause". The gift shop has many items related to the ranch, the wilderness tour and Florida wildlife. You can also have a picnic at Babcock Ranch. You can bring your own picnic basket or enjoy a lunch of BBQ pork sandwiches, hot dogs and finger foods in the Gator Shack Restaurant. The Babcock Ranch was sold several years ago to Kitson & Partners, a development company. The sale will probably not affect the future of Babcock Wildnerness Adventures. The Kitson group is in the process of developing a brand new city appropriately named Babcock Ranch. They donated all but 17,000 acres of the ranch to the state. The remaining acreage will be used to create a futuristic, sustainable, environmentally sensitive community. It will be the first city almost any place on earth to use the sun for almost all of its energy needs. Who knows, this modern city could also end up being one of the popular Florida tourist attractions of tomorrow. Babcock Ranch (the new City) will have a state-of-the-art $ 300 million Florida Solar Power plant. The city will consume less power than the plant will produce. Most of the land adjacent to the new city will be preserved in its natural condition. All tours are by reservation only, so it's best to call them before going. Please call 1-800-500-5583 for tour times. I-75 to Exit 164 to Highway 17. Head North one mile to State Road 74. Then go East 15 miles to State Road 31.Then go South. I-75 to Exit 143. Head East on Route 78 to State Road 31.Then go North. Look for Tour Entrance 9 miles on right.